Create an account at BitcoinTalk. If you have one login to the account. Click on the Profile on the menu. 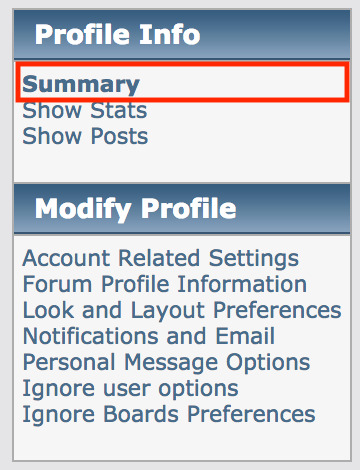 On Profile Info, Click on the Summary.